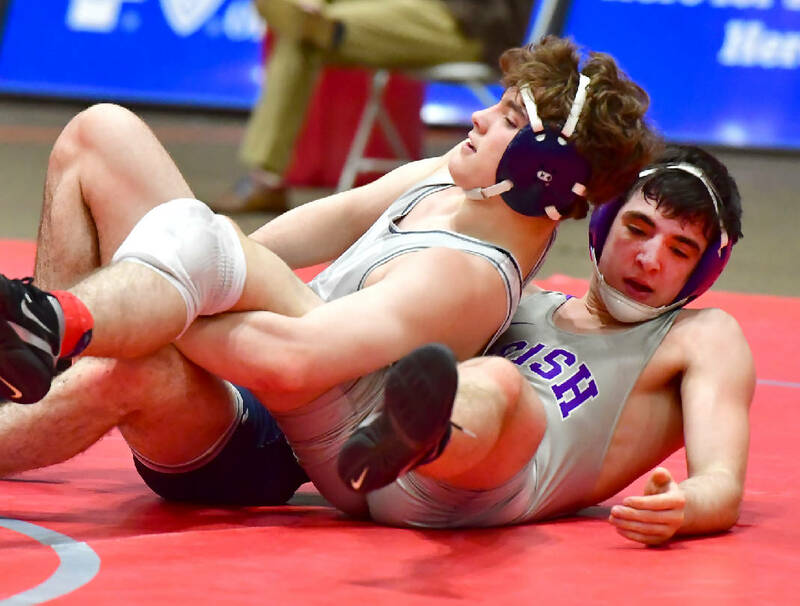 An unrivaled tradition continued for area wrestlers as 63 individuals medaled and 16 climbed to the top spot on the podium at the TSSAA state traditional tournament Saturday in the Williamson County Ag Expo Park in Franklin. In the wrestling hotbed of the state, making childhood dreams come true requires ultimate dedication. "It's bittersweet. To make it this far and win it all takes a lot of hard work," McCallie senior 182-pounder Thomas Sell said. "I was giving up nearly eight pounds this year. I think one of the hardest parts, too, was having this expectation because I won it all last year, too. I had a pressure on me to not mess up." Sell put on a warrior-like performance as one of the Blue Tornado's four champions. He duked it out with Baylor's Connor Duffy in the finals to win a 7-6 tiebreaker. Half of the area's champions successfully defended titles from last year. The repeat champions also included McCallie sophomores Emory Taylor (120) and Alex Whitworth (152, "outstanding wrestler") along with Baylor junior Noah Horst (126) and seniors Mason Reiniche (170) and Andrew Pace (145). Cleveland senior Austin Sweeney repeated his 152-pound title, while Signal Mountain sophomore Daniel Uhorchuk (113) is now 69-0 over the past two seasons. Sweeney helped this year's Blue Raiders go down as the most dominant in school history with four state champions and the program's state traditional record for team points — by 1.5. He credited state champion teammate Grant Lundy (145) for helping his drive. "Grant and I had a dream to be state champions together," Sweeney said. "He told me, 'I am going to win a championship for you, and you are going to win one for me.' That really touched me. We had days where we would kick each other's butts in the practice room. It's a true blessing to win it all after the work we put in together." Along with Sell, a pair of sophomore wrestlers from Cleveland and Hixson displayed true grit on their way to winning "best match" finals. Trevor Lewis (120) brought home a state championship for the Wildcats thanks to a takedown in the final 20 seconds for an 8-7 decision over Pigeon Forge's Josh Parton. The Blue Raiders' Jackson Bradford (113) showed resilience fighting back from a 5-0 deficit to score the final seven points and beat Wilson Central's Thomas Borders. A total of 15 schools from the Chattanooga area had medalists, which included 11 Baylor Red Raiders — nine of whom will return next season. The Blue Tornado were next with nine, all top-three for a runner-up finish with 188 team points. Cleveland and Hixson (fourth place in A/AA) each had eight reach the medal stand, while Signal Mountain had seven. All four of Notre Dame's state qualifiers medaled, while Bradley Central also sent four to the podium. Whitwell (3), Chattanooga Christian (2) and East Hamilton (2) had multiple medalists as well. 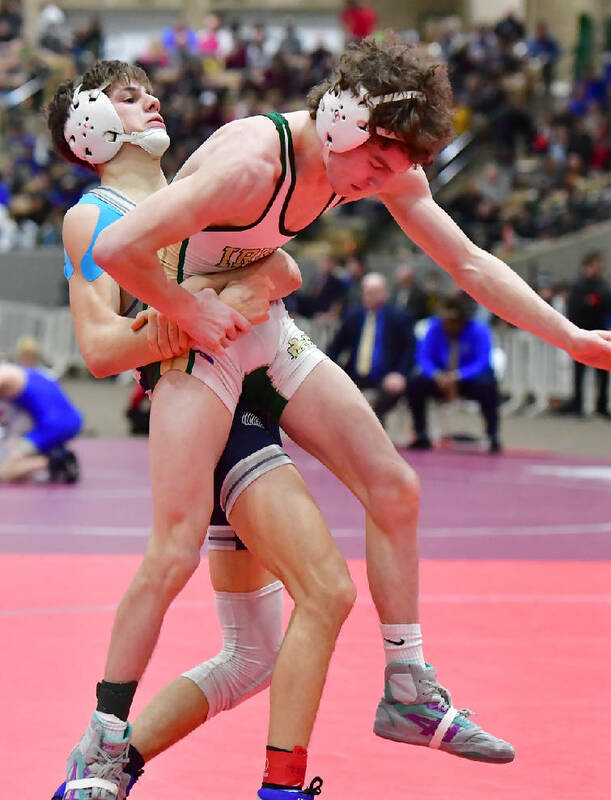 In a venue of glory and heartbreak, an undefeated season for Notre Dame senior 113-pounder Cade Holloway came to an end in the Division II finals via a 3-1 overtime decision to McCallie sophomore Jack Braman. It was one of three Chattanooga-exclusive finals. Holloway finished 35-1 overall for the Irish this season and made it to the finals with two pins taking just 1:57. "Cade set the bar all season in our room with his work ethic and his knowledge of the sport," Irish coach Tim Voiles said. "He's the type of senior everyone would want in the room." Signal Mountain's Kevin Muschel (138) and Hixson's Devotis McCurdy (285) each fell by just one point in A/AA title bouts. Despite being unranked all season in Class AAA, Walker Valley sophomore Jadon Langford made a name for himself. Langford earned his trip to state by pinning wrestlers from Soddy-Daisy, Bradley Central and Cleveland for the Region 3 title. 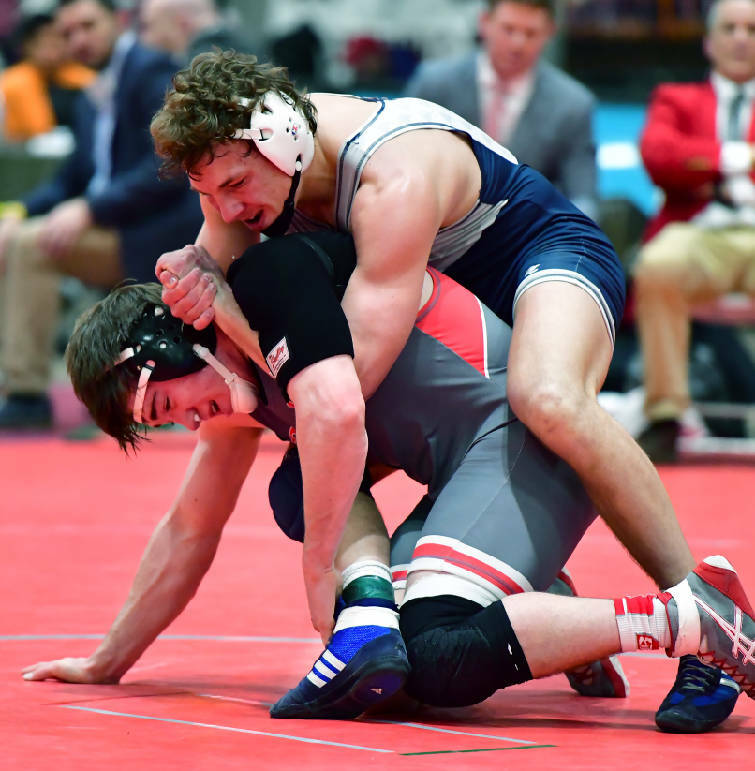 The powerful underclassmen starred in Franklin, too, as he won decisions of 12-8 and 2-1 with a first-round pin and a major decision to reach the 285-pound final. Despite falling to Wilson Central's "outstanding wrestler" Michael Kramer (64-0) in the first period, Langford could be a favorite to watch for years to come. His brother, Caleb, was the first state champion in Walker Valley wrestling history, and their father, Lionel, won a title at Cleveland. "Jadon really worked hard for all he earned this season," said Mustangs coach Al Morris, whose team finished 18th with 51 points and had all seven wrestlers win at least one match. "He weighed as high as 320 during football season and really stuck to his weight-loss program. He has a great attitude and can really move for a big man. We are excited to see what the future has in store for him."